In case you have forgotten the Screen Time Passcode on your iPhone, you won’t be able to access Apps and services Locked with Screen Time Passcode. 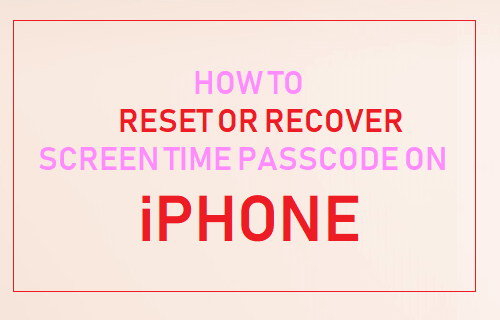 You will find below the steps to either Reset or Recover Screen Time Passcode on iPhone. The easiest way to Reset Screen Time Passcode on iPhone is to Factory Reset iPhone and setup it up as a new device. However, a Factory Reset will completely erase the data on your iPhone and this option is suitable only if you are prepared to lose all your photos and data. The second option involves the use of a third party tool to actually Recover Screen Time Passcode from an iTunes backup of your iPhone. The third option is to Restore iPhone using an old backup of iPhone that was made prior to setting up of the Screen Time Passcode or the Restrictions Passcode. Factory Reset will erase all the data on your iPhone, including the Screen Time Passcode, allowing you to setup your iPhone as a new device. 1. Go to Settings > General > Reset > Erase All Content & Settings. 3. 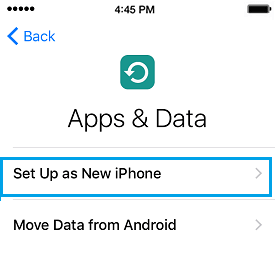 Once the Data is Erased, iPhone will Restart with Apple Logo and prompt you to start the setup process. 4. Select Country > choose WiFi Network > Enter WiFi Password > and select Set Up as New iPhone option on Apps & Data screen. 5. Follow the next onscreen instructions to complete the setup process. Once your iPhone is setup, you can use it without being prompted to enter Screen Time Passcode. 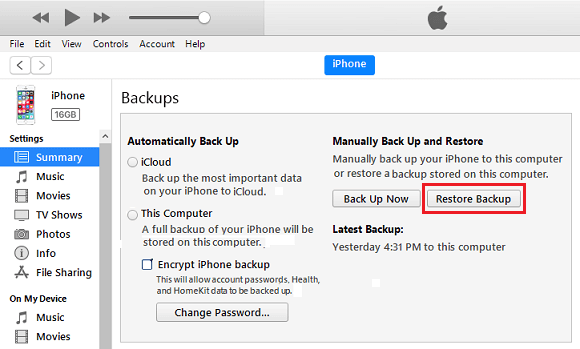 If you do not want to Factory Reset iPhone, you can use this simple method to recover lost or forgotten Screen Time Passcode using a third party tool known as Decipher Backup Browser. This method of recovering Screen Time Passcode, involves the following 3 steps. While Decipher Backup is available both for Windows and Mac computers, it is easy to download and install on a Windows computer. In the case of Mac, you will have to follow an extra step to grant Decipher Backup with access to iOS Backups on your computer. 2.1 Backup iPhone to PC or Mac Using iTunes. Download the latest version of iTunes to your PC or Mac (in case you haven’t already done this) and follow the steps below to make an Encrypted Backup iPhone on your computer. 2. Click on the Phone Icon as it appears on the screen of your computer. 3. Next, click on the Summary tab > scroll down to “Backups” section, select This Computer, check Encrypt iPhone Backup and click on Back Up Now button. Note: You will be prompted to setup a Password for your Encrypted Backup File. Make sure that you write this password for use in the next steps. 4. Wait for iTunes to make a backup of iPhone on your computer. The time to complete the backup will depend on the amount of data available on your iPhone. The next step is to download and Install Decipher Backup Browser on your PC or Mac. 1. Open any web browser on your computer and Download the Free version of Decipher Backup Browser to your computer. 2. Once the File is downloaded, Install Decipher Backup on your computer by double-clicking on the downloaded DecipherBackupBrowser.exe file (in case of Windows PC) and by dragging DecipherBackupBrowser.dmg file to Applications Folder (in case of Mac). 3. On a Windows Computer, you will be prompted to enter Admin Password. If you are using Mac, follow the instructions as provided on “Getting Started” screen to grant access to Decipher Backup. 1. Open Decipher Backup on your computer and it will automatically search and list all the iPhone Backups as available on your computer. 2. 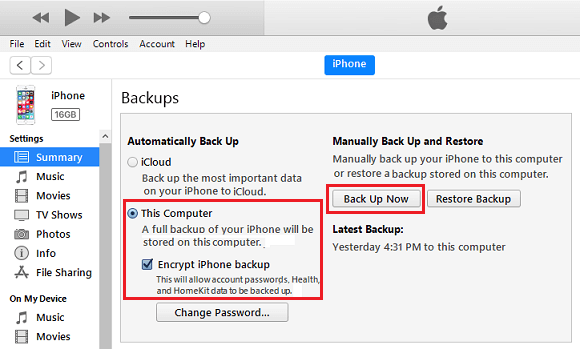 From the list of iPhone Backups, click on your current Encrypted iPhone Backup. 3. On the pop-up, enter the Password required to access your Encrypted iPhone Backup and click on OK.
4. Decipher Backup will begin to scan your iPhone Backup and list its contents. Scroll down the list and click on Screen Time Passcode Folder. 5. Once you click on Screen Time Passcode, Decipher Backup will scan this Folder and display your Screen Time Passcode (See above image). Now that you have recovered your Screen Time Passcode, you can either Disable, Change or continue using the same Screen Time Passcode on your iPhone. This method can be used only if you have an old Backup of iPhone on computer and you are certain that the backup file does not contain the Screen Time Passcode or the Restrictions Passcode. 3. Next, click on the Summary tab, scroll down and click on Restore Backup option located under Manually Back Up and Restore section. 4. 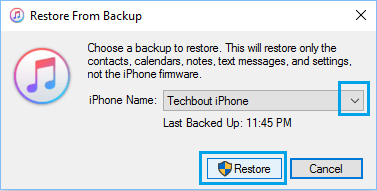 On the next screen, select the Old iPhone Backup File from your computer and click on Restore. Once your iPhone is restored, it will will no longer prompt you to enter Screen Time Passcode.